As we keep enhancing the GrantForward service, we just updated our GrantForward Researcher Welcome Guide! 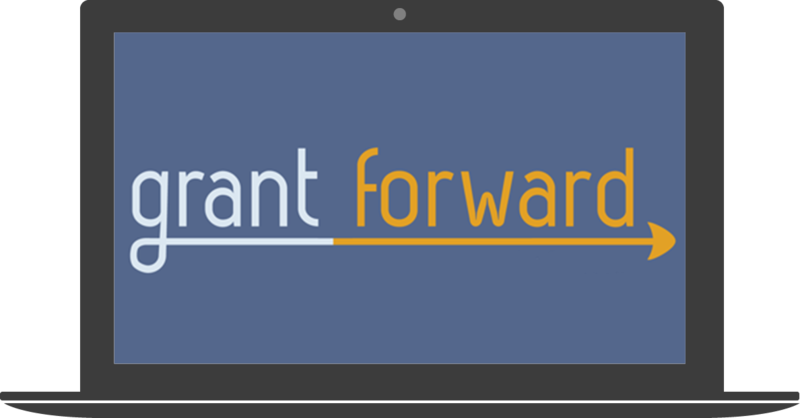 Take a look– learn, or review, about how to use GrantForward to help moving your research forward! Download PDF. Join us on Wednesday, May 10 at 2:00 – 3:00 pm (Central Time) for a GrantForward Webinar. 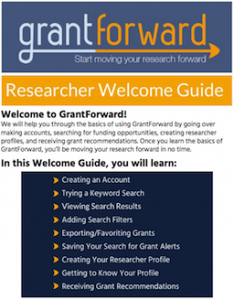 This webinar will focus on the basics of Using GrantForward as a Researcher.Using our “brand-new” GrantForward Researcher Welcome Guide, we will guide you through creating an account, trying a simple search, using advanced filters, exporting grants, saving searches, and creating a profile. CaseStudy: How Can I Create a Good Researcher Profile? You can also download the PDF of this CaseStudy. This information was originally posted in the GrantForward Newsletter. Georgia Southern University faculty and students are able to access this information with their university ID’s.